Becoming a parent for the first time can be one of the most joyous and frightening experiences of a person’s life. And for many dads or partners of any gender who are sharing parenting responsibilities with a new mother, it is not always easy to figure out where you fit in to caring for your child. If this sounds familiar, or you just really love to cook and want to lend your expertise to your parenting, then please join local dad and urban farmer Nic Esposito at Threshold Wellness on November 14th at 1 PM for a fun and informative culinary demonstration of the art of home cooked baby food. Whether you’re an expecting dad, a new dad, dad for a second time, or a partner of any gender who is co-parenting a child, come learn how to make easy, nutritious meals for your infant and/or toddler. Nic will show you how to prepare well-balanced purees of both fruits and vegetables for your infant and easy to make meals for your toddler. He will also share how he feels that his experience of making his son’s baby food has led to a healthy and adventurous eater. 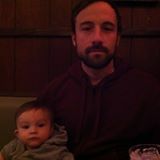 Nic Esposito is an urban farmer, writer and father from Philadelphia. Nic and his wife Elisa co-manage Emerald Street Community Farm in the East Kensington section of Philadelphia, as well as their own homestead complete with fruits veggies, and a whole bunch of chickens and their son Luca. He is the author of the novel Seeds of Discent and the memoir essay collection Kensington Homestead. 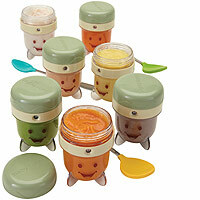 He got into baby food making as a way to forge a healthy and natural diet for his son.